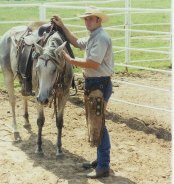 My name is Rick Hollenbeck , and for a while now, my wife, Kara and I have wanted and looked for a way to help horse people with their horses. We both realized early on, even if you dedicated a lifetime to the pursuit of the horse, there would never be enough time to learn all that there is. We decided to open this website to help people learn more about their horses and themselves. 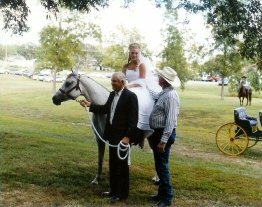 It is our goal to share what we have learned on our own and from others – where people can come together across the disciplines as well as breeds and types of horses. And here we are, nine years later. In that time we have been blessed with three wonderful sons. We are located near Bristow Oklahoma, about 40 miles west of Tulsa.